Stuffed Tomatoes-On-The-Vine will win over any tomato hater! 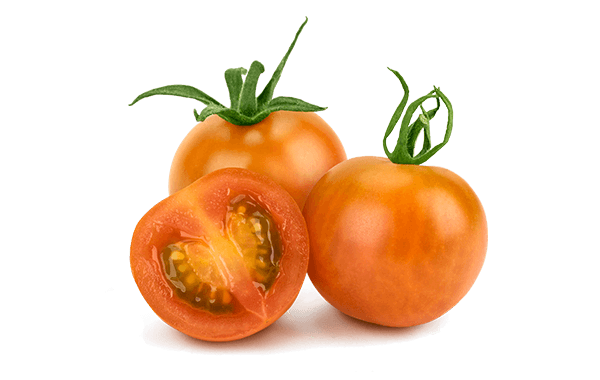 These flavoursome tomatoes go well as a side dish or try as a starter. Bring a small pot of water to a boil. Once boiling, add salt, then the rice, and cook for 8 minutes. The rice should still be hard, only half cooked. Strain and briefly rinse the rice under cold water to let it cool. Meanwhile, carefully slice the tops off of the tomatoes and set them aside, leaving some of the vine on them. Scoop out the seeds and pulp with a teaspoon or melon scooper, being careful not to cut through to the base. Put the pulp and juice of the tomato into a blender and mix well. Then pass the mixture through a sieve to remove the seeds. 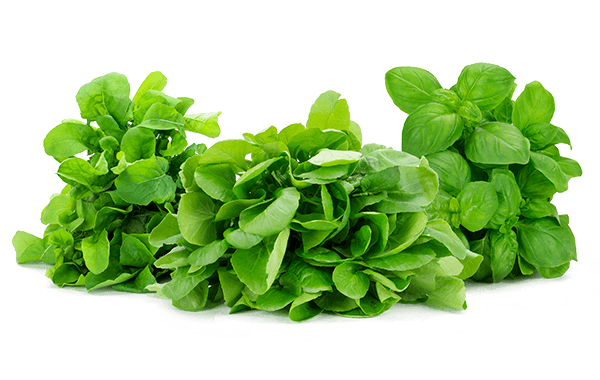 Finely chop the mint, basil, and garlic, and add them to the juice. Once the rice is ready (step 1) combine it with the tomato juice. Add 2 tablespoons of olive oil, fine salt, and black pepper to taste, and mix well. Allow mixture to marinate for 15 minutes. Preheat the oven to 325° convection mode (or 350° static). Stuff each tomato with rice mixture and finish by replacing their cut-off tops (step 3). 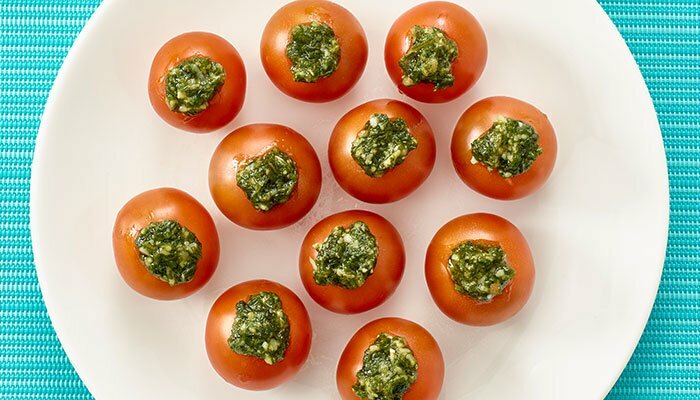 Transfer stuffed tomatoes to a baking pan, evenly drizzle with olive oil, and bake for 20 minutes, or until lightly roasted.